Lara McClintoch, her marriage ended and her antiques business sold, eagerly embarks on a trip to Mexico to help an old friend solve a mystery. On arrival, her friend puts off their meeting and then disappears. After Lara witnesses a brazen robbery of a valuable statue of the ancient Mayan civilization and stumbles on a corpse in a museum of antiquities, she becomes a police suspect. Afraid of the police and unsure whom to trust, Lara follows clues pointing to black marketeers and zealous revolutionaries. This dangerous trail takes her to remote archaeological ruins, lush jungles, and bustling streets filled with revelers. Lara engages in a thrilling battle of wits and courage to unmask a killer and stop a tomb-robber in the shadowy world of Xibalba, the Lords of Death. “Canadian Hamilton serves up her usual appealing mix of objets d’art and murder in her sixth well-researched mystery to feature antiques dealer Lara McClintoch…Erudite mystery fans will enjoy the sophisticated wit. 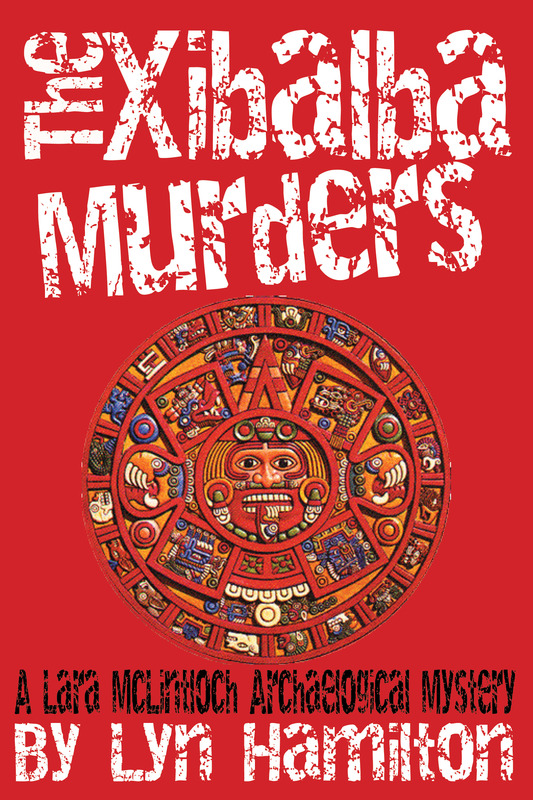 Read or write a review of The Xibalba Murders on Goodreads here.